- Tops - View from the lighthouse. 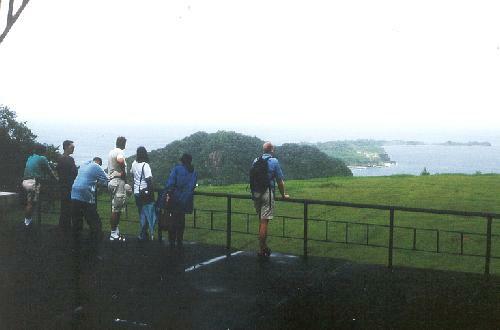 - More Views - Looking out over the "tail" of the pollywog-shaped island. 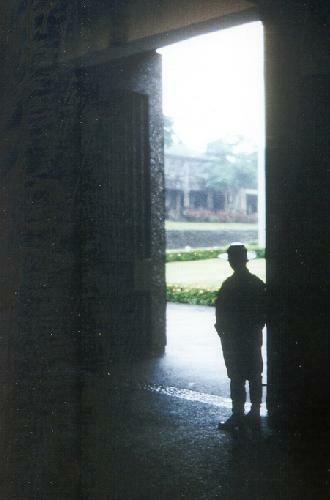 - Guard - R.P. 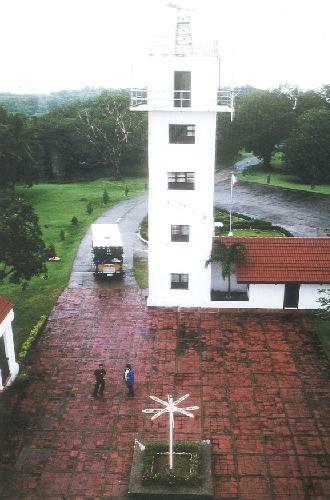 Marine Guard stands at the entrance of the island museum. 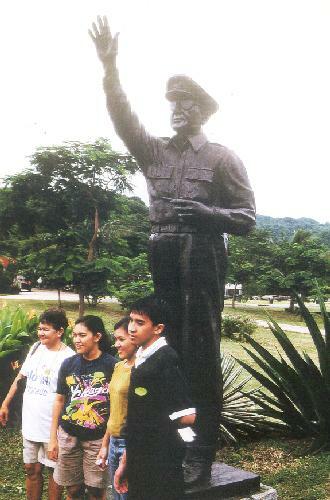 - Larger than Life - Statue of General Douglas MacArthur bids a fond farewell and blessing to his beloved Philippines.